TechRadar reported a few days ago that Apple plans to launch a revamp of its iPod music player line-up next week. Now, new details of what might be in store have come to light. The site says that Apple plans to launch a redesigned iPod touch for the higher-end 32GB and 64GB model, but retain the current design for the entry-level 8GB device. More colors beyond the standard black and white models are also expected in the offing. Beyond the iPod touch moderations, signs also point to eight total iPod shuffle colours, up from the current five, but price ($49/£30) and storage are likely to remain the same. 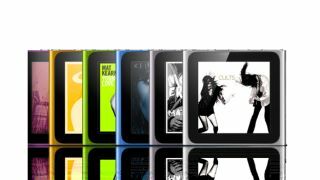 As far as the popular watch-face-sized iPod nano is concerned, the rumour is the device will be slightly larger in order to include Wi-Fi for the first time, plus include some new pigmentations. The device reportedly has a completely different codename than the 2011 nano, which could indicate significant changes to both the software and hardware though not necessarily to the capacity. The price, however, might not change by much. All is likely to be revealed at next week's iPhone 5 launch event in San Francisco. With the iPhone 5 and full launch of iOS 6 coming and new iPods and new iMacs also rumoured to be in the mix, it's likely to be an exciting keynote. Keep your eyes peeled to TechRadar for live coverage of the event, hands-on reviews with the new tech, and all of the key reaction.